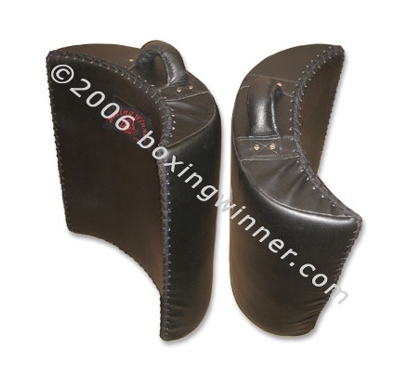 Leg/Low kick Pad for Muay Thai: Multi-layered foam padding is contoured to wrap around the leg. 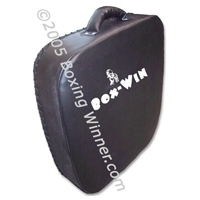 Unique curved design prevents the pad to wobble on impact. 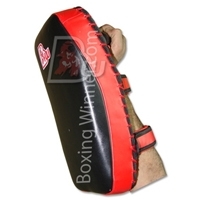 perfect for practicing leg kicks, cut kicks, foot jabs, knees and even body punches. 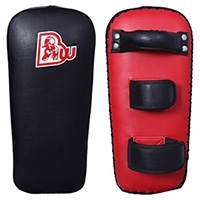 Made of Durable synthetic leather shell, Shock-absorbing, high-density foam core, Two handles for a secure grip. 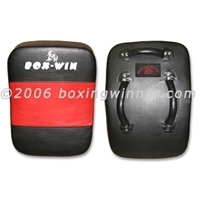 Minimizes stress on holders arm and wrist.